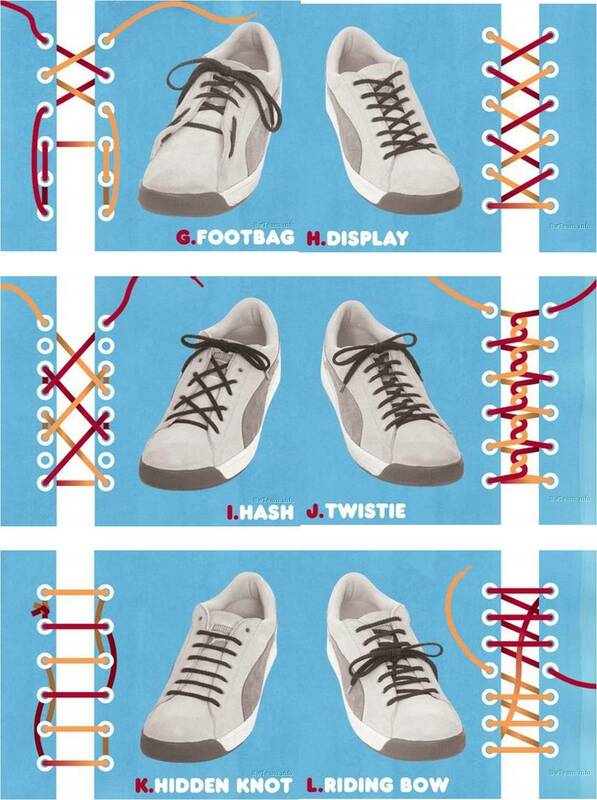 From school shoes to sneakers, we’ve had our experiences with laces. With the spurt in trend focus on skater shoes (late ’90s – millenium), at least one pair of such has landed in our shoe collection. I didn’t realize there were so many ways to put laces on shoes! Pretty amazing!